Blurb Description: The year is 2059. Nineteen-year-old Paige Mahoney is working in the criminal underworld of Scion London, based at Seven Dials, employed by a man named Jaxon Hall. Her job: to scout for information by breaking into people’s minds. For Paige is a dreamwalker, a clairvoyant and, in the world of Scion, she commits treason simply by breathing. 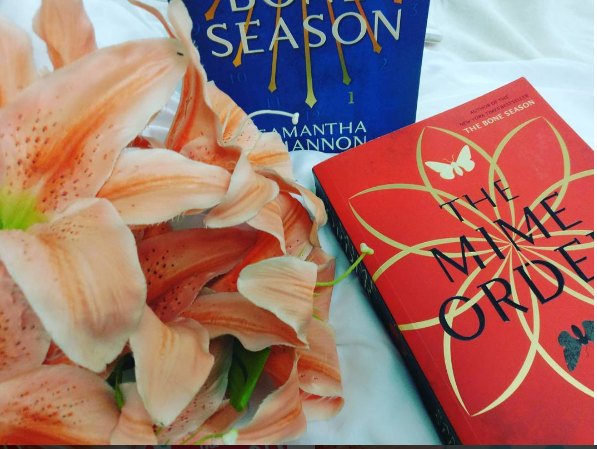 I first read The Bone Season over three years ago. It was sophomore year of high school, I had my Chemistry and Physics finals the next day, and I made the choice to read just a FEW chapters of this book during my break. OF COURSE, ANY BOOKDRAGON WORTH HIS/ HER SALT KNOWS THAT A FEW CHAPTERS IN AN INCOMPREHENSIBLE TERM. And so, instead of finishing my revision, I sped read this book, dying for more Paige and Warden Scenes and barely concentrating on the plot. I bought myself a copy of The Mime Order later, but for some reason, I never really got to reading it. #TBRProblems. Long story short, THIS WAS ONE OF THE MOST BRILLIANTLY CONSTRUCTED WORLDS WITH A HOST OF CHARACTERS I WAS ROOTING FOR FROM PAGE ONE AND I NEED MORE OF THIS WORLD AND EVERYONE IN. 1. 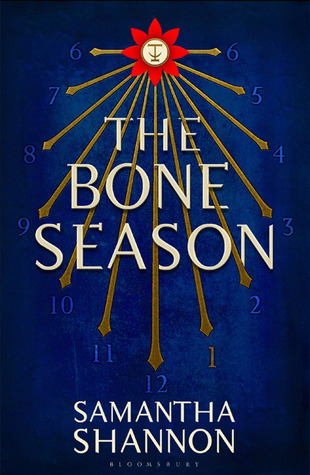 THE WORLD BUILDING: Hands down, The Bone Season has THE BEST WORLD BUILDING OUT THERE. I adored jumping into a futuristic London where breathing for Clairvoyants is considered High Treason. I LOVED THE SYNDICATE, Paige and even the very building of Sheol I. IT WAS ALL SO BRUTALLY REAL with the best host of characters. 2. PAIGE MAHONEY: I liked Paige when I initially read the book, but reading it again made her seem SO MUCH MORE BADASS. It’s so hard to describe who she is, but this girl was STRONG, TOUGH, POWERFUL AND SO SO REAL – I LOVED HER. "This was what my spirit loved to do, to wander in strange lands. It couldn't stand being trapped in one body all the time. it had wanderlust." "She comes with me," It was Warden, and he looked demonic. "Run, oracle." 4. 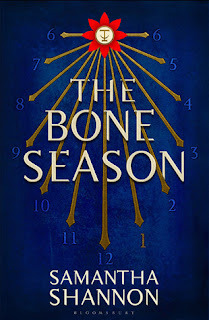 THE SEVEN SEALS: I feel like we didn’t see NEARLY enough of Paige’s main seven co-workers, who form the Inner Circle of Jaxon Hall’s (their Mime Lord’s) crew in The Bone Season, but I’m pretty sure they’re going to there SO MUCH MORE in book two and I CAN’T WAIT TO GET TO KNOW THEM. "I am giving you the option to call for help." When I looked at him, he said, "Call the Seven Seals." 5. 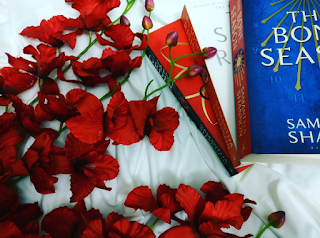 I also really loved the general anticipation that I HAD TWO MORE BOOKS TO READ after this one (and four more after book three, but let’s not dwell on that now) (Yes, it’s a SEVEN BOOK SERIES!) because that means BINGE TIME! A highly addicting, brilliantly constructed swoon worthy book that I CANNOT RECOMMEND ENOUGH! Samantha Shannon’s writing intricately spins a world of the best kind around you and you’ll love every second you’re living in it. 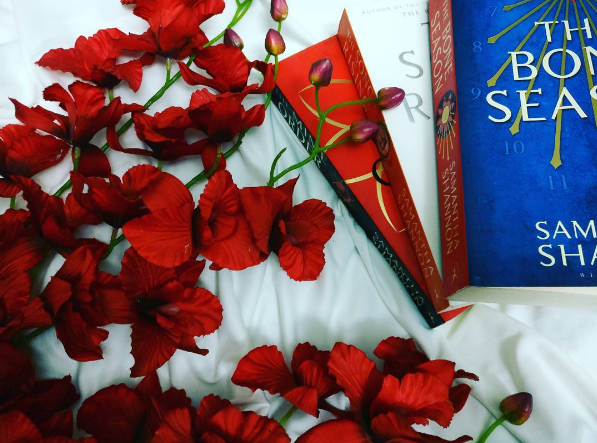 Have you gotten a chance to dive into The Bone Season yet? What did you think of it? I'm SO SORRY I haven't been around/ replying to comments but I'll be doing it ALL tomorrow!